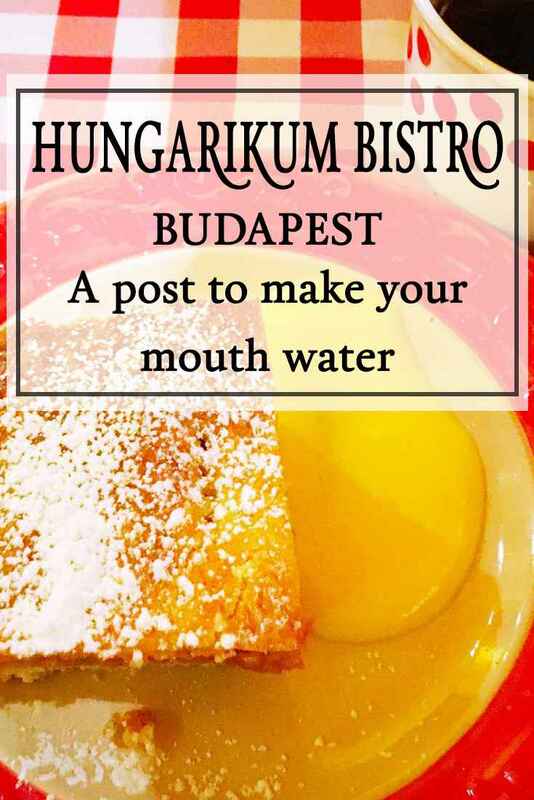 Fancy trying traditional Hungarian food? Then look no further. 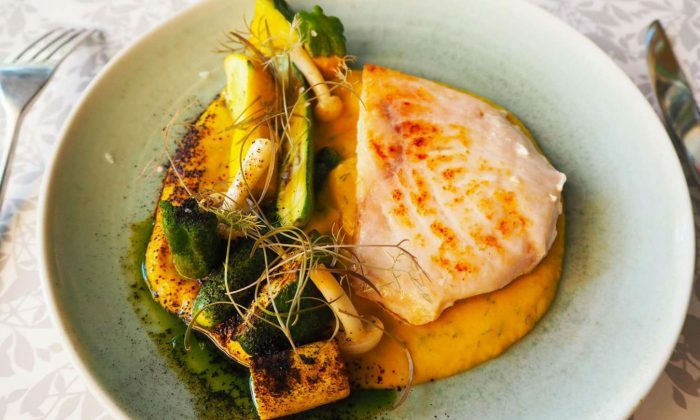 When searching for restaurants to try in Budapest, Hungarikum Bistro was listed in the Top 10 on Tripadvisor. 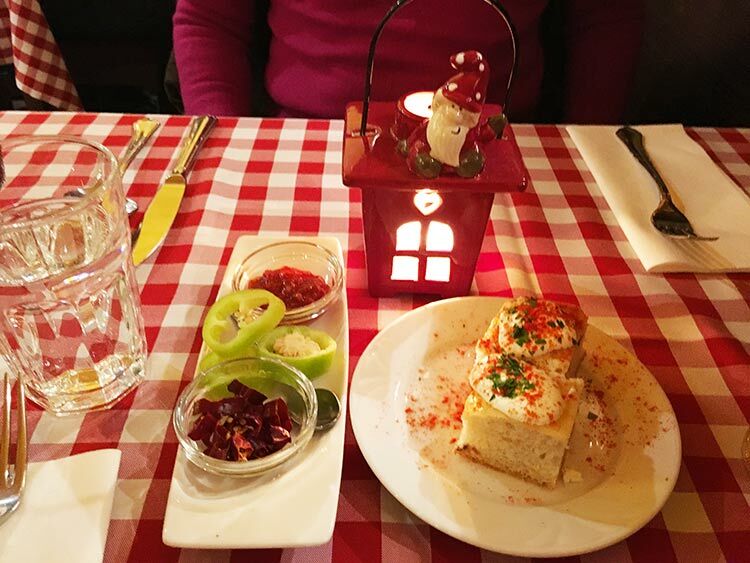 The Hungarian food produced in the restaurant is inspired by dishes traditionally made in Hungarian homes. 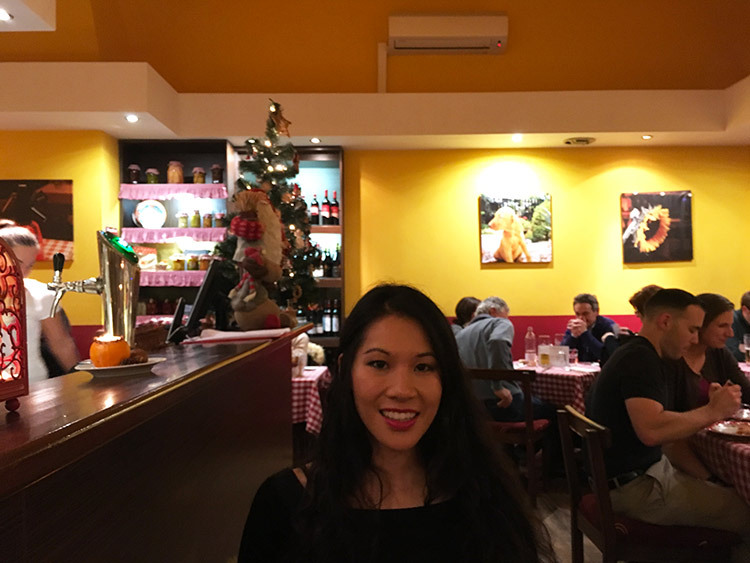 This restaurant was very easy to find and was less than a ten minute walk from our hotel – The Prestige. 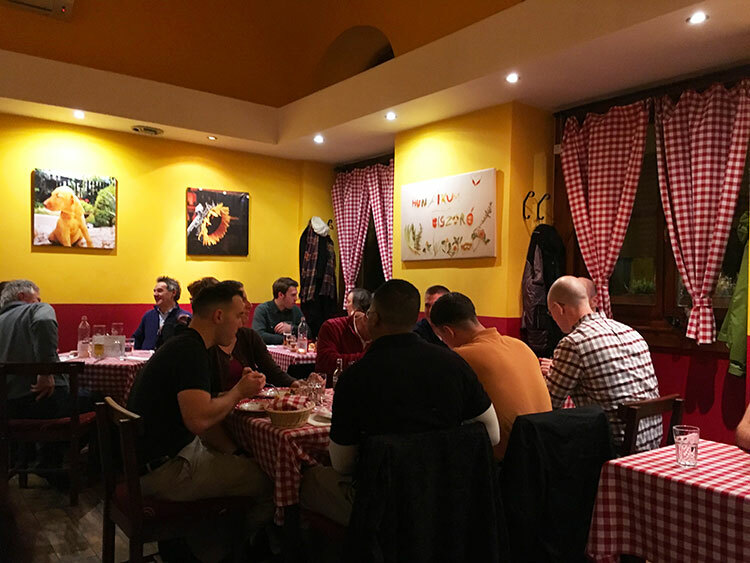 As we entered the restaurant, the staff were extremely polite, friendly and smiling even as they rushed around the packed tables. We were seated right near the bar, where we spotted a blackboard advertising homemade mulled wine. Yes please! 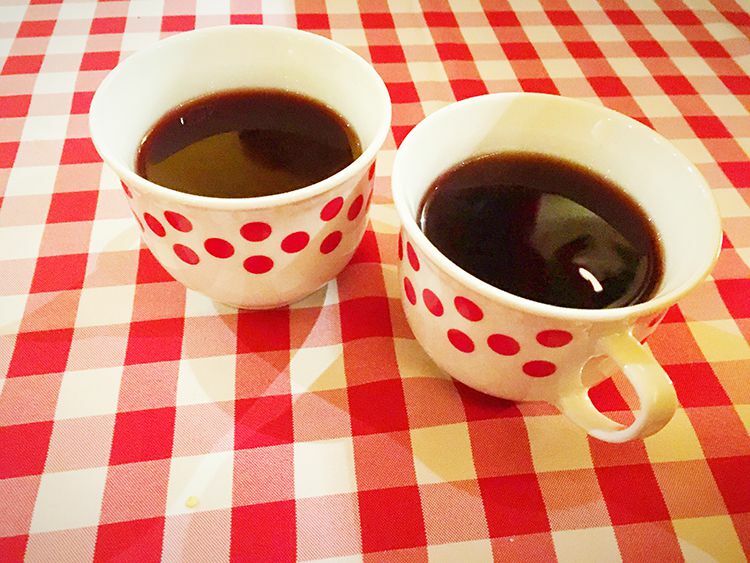 I loved how homely the restaurant felt from the red and white chequered table cloths and curtains to the spotted mugs! 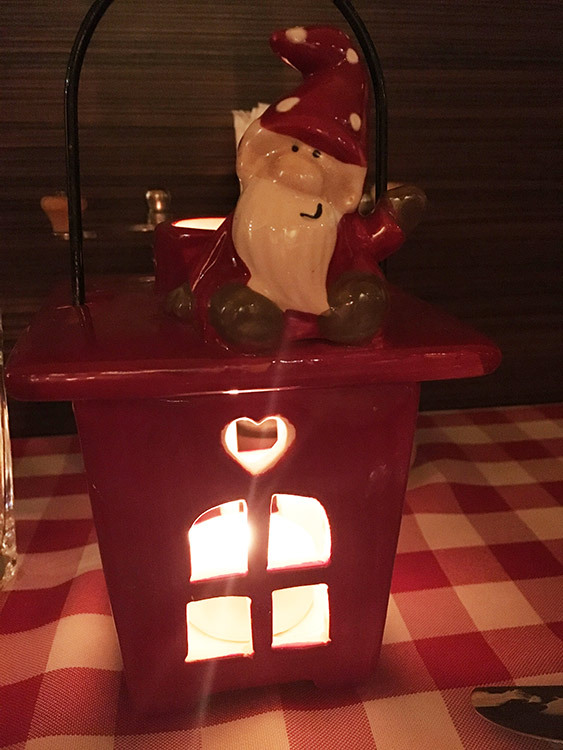 The table was booked for 6.30pm and I noticed how full the restaurant was upon entering, even though it was still early, so much so, that a few couples were unfortunately turned away during our visit. Restaurant heaving with happy diners! Placed on our table was a booklet filled with recipes of Hungarian food and information on the restaurant. 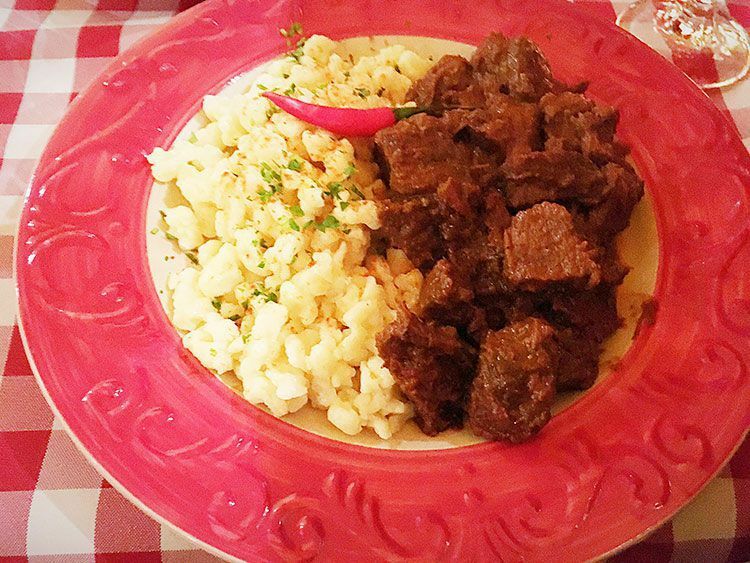 A recipe for the traditional Hungarian dish….Beef Goulash. What a fantastic idea and ours to take away too! 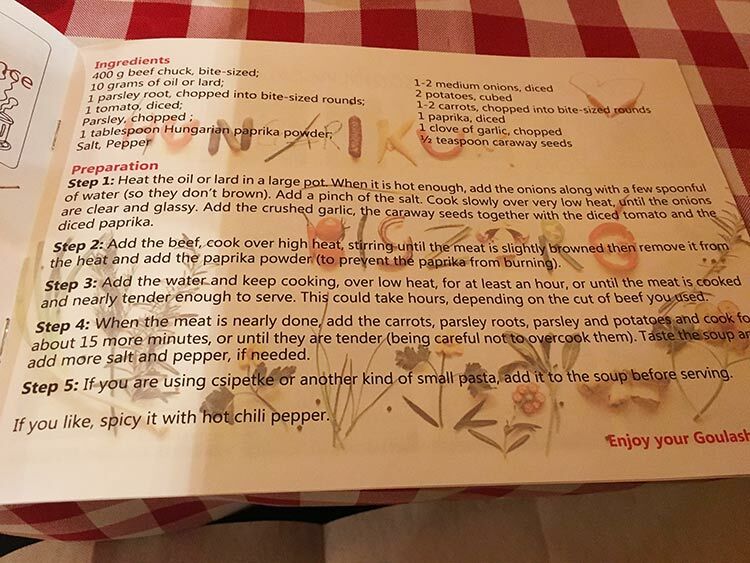 Recipe book – we can now make our own Hungarian goulash! Homemade bread accompanied with condiments of chillies and pepper were brought to our table. The bread was moorish! Looking at the menu, I could have chosen and eaten everything on there. Both of us finally decided on the beef stew dumplings, which were delicious….full of flavour, the beef was really tender and the dish was very filling. For drinks, we continued with the mulled wine which were served in the cutest mugs. Dessert was homemade apple pie with stewed apple served with custard….again it was gorgeous I could have eaten more! The sponge was soft and moist and the custard was not overly sweet. 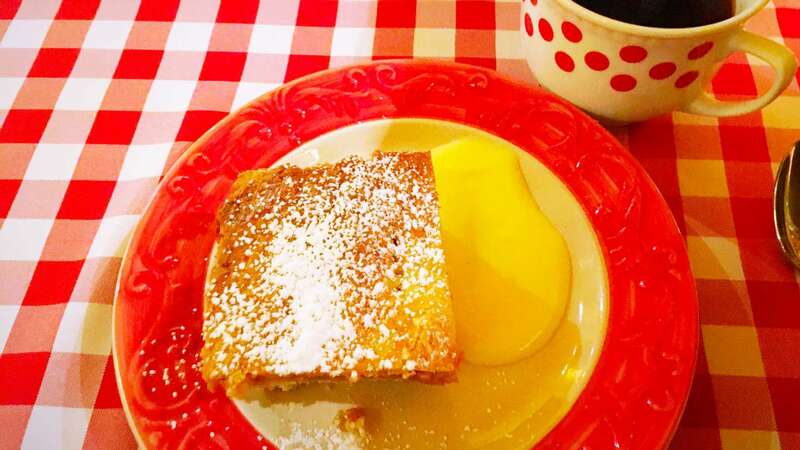 Apple pie and custard are a marriage made in heaven! The food was very cheap and before paying the bill, the waitress serves you a 55% shot which is apparently a Hungarian tradition! Would I come back? The service was excellent. 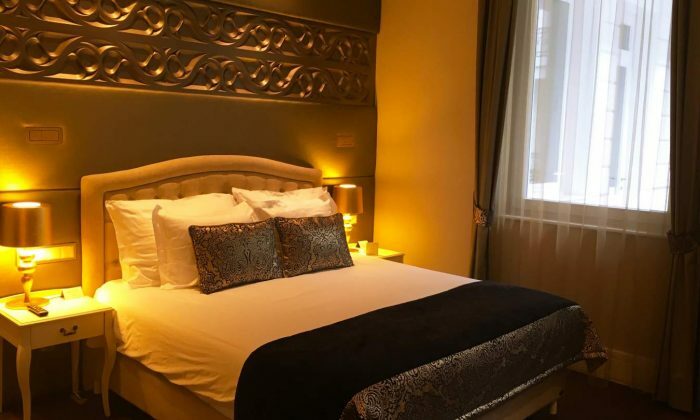 The staff were attentive, friendly and willing to help. The answer is a definite YES! Tip: Booking is essential as the restaurant does get super busy. You can either call for a reservation or book online. We had our hotel make the reservation for us. 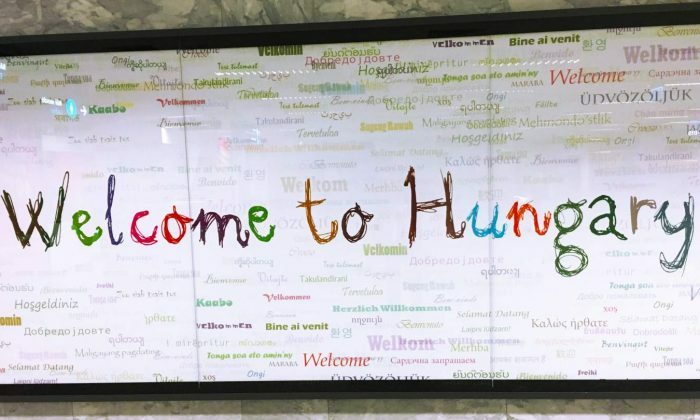 Have you tried any traditional Hungarian food? 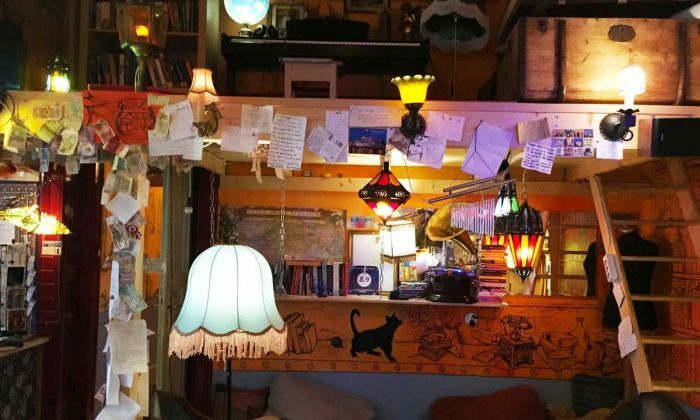 Where’s your favourite place to eat out in Budapest?